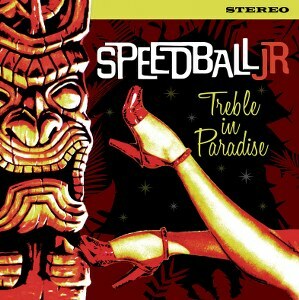 When Speedball JR first ventured out of Ghent ( Belgium’s Surf City) in the year 2000, they never could have guessed in their wildest dreams to be sharing stages with Steve Mackay, the saxophone slayer of The Stooges. This lively alliance has been caught on tape in Primitive Sounds Studios and slapped onto formidable 45’s. 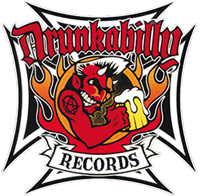 For this limited edition Drunkabilly release two crowd favorites from The Stooges’ classic album "Fun House” are revived into steaming instrumentals. Side A kicks off the fuzz feast with "Loose” and after the vinyl turnover " 1970” drives the point home. The B-side’s alternate title is "I Feel Alright”, and in this case that’s a massive understatement. A state of sheer bliss is more like it, because this 7-inch offers far more than run-of-the-mill garage surf. The rousing sound of the infernal organ gets more blood going than any internal organ ever could, while the soaring sax is stacked on top. 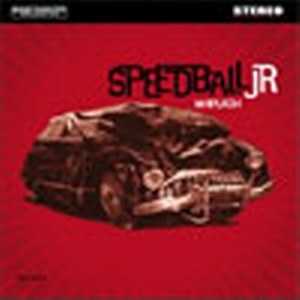 Speedball JR along with Steve Mackay stick the rash in trash, the rage in garage and the sun in tsunami! Additional notes: the freakalicious cover art is done by JesseR, who’s also known as Fifty Foot Combo’s purveyor of extra percussive swing. Moreover his guest appearance on these recordings adds bang on bongo voodoo to the mix. Now let loose your 1970 dance moves and party like it’s 2029.